Filing for uncontested divorce in Georgia is relatively easy. Filing uncontestes requires simply citing the no-fault grounds that the marriage is "irretrievably broken", and filing the divorce petition. There is a need to develop a formal Settlement Agreement to address property division, child custody issues, support issues and normal concerns. A mediated divorce is often a good option for an uncontested divorce. If your divorce is particularly contentious, rest assured that we are skilled and competent trial lawyers. As your uncontested divorce lawyer, our purpose is to protect your interests while completing your divorce at the lowest reasonable cost. In even an uncontested divorce you can expect a wide range of strong emotions. As your divorce attorney, part of our job is to help you to make logical decisions at a time when you may not be thinking clearly. Sometimes people opt for an uncontested divorce to save money or a desire to "just get it over with". This short-sided way of thinking can lead to agreeing to conditions that will haunt you for a very long time. An uncontested divorce is much easier financially and emotionally that a contested divorce. Temporary Orders are almost a certainty when you file for divorce. There is a need to clarify where each spouse will live, how much access they may have to their home or possessions, child custody and visitation and more. If your divorce is involves and potential physical harm you may need a restraining order or Temporary Protective Order to protect yourself. In Georgia, when spouses are living separately, either spouse may petition the court for child support or spousal support without having filed for divorce. The other party will be notified of such a petition, and the judge can grant a support order, which is legally enforceable, and subject to contempt charges if disobeyed. From the moment your fights started including the word "divorce" your actions and words may be recorded or otherwise documented. You need to restrain yourself from displays of anger, inappropriate behaviors and certainly any acts of aggression or violence. This is a time when you need to be on your absolute best behavior. One seemingly simple mistake can cost you a lot. 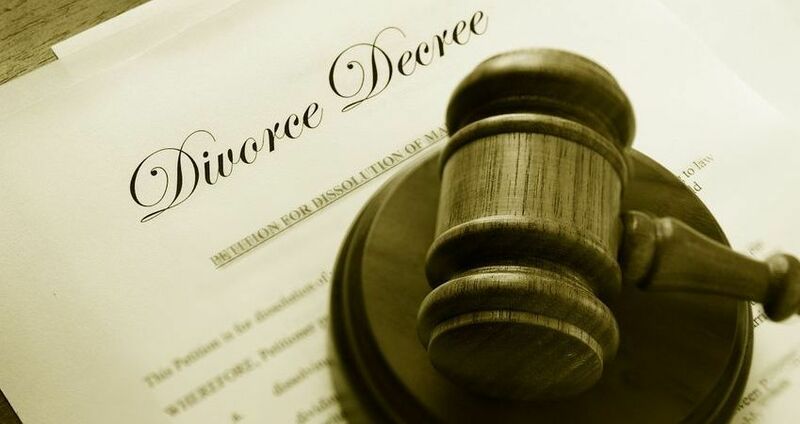 In a mediated divorce, the spouses agree to an amicable dissolution of the marriage and utilize a third party (mediator) to facilitate the discussions and negotiations on the terms of the divorce. Couples who can be civil enough to utilize a mediator are the most likely to have the lowest costs for divorce, and the lowest levels of anger or frustration as they work through the divorce process.